Little Big Town paid tribute to the legendary Cher at the Kennedy Center Honors on Sunday night (December 2nd). This year’s honorees include Reba McEntire, Cher, composer and pianist Philip Glass, jazz saxophonist and composer Wayne Shorter and Lin-Manuel Miranda and the creators of Hamilton. The Kennedy Center honors will air December 26th at 8pm ET on CBS. Shania Twain is scheduled to appear on Live With Kelly & Ryan on Friday (December 7th). Keith Urban, Luke Bryan, Chris Stapleton, Kacey Musgraves, Shania Twain and Vince Gill are among the artists vying for tour awards at the Pollstar Awards, which will be handed out February 13th in Los Angeles. Keith, Luke, Chris and Shania are up for Best Country Tour, alongside Kenny Chesney and Thomas Rhett. Kacey is nominated in the all-genre Best Support/Special Guest category for opening Harry Styles’ tour, while Vince up for Best Touring Musician for his stint with the Eagles. Dierks Bentley and Jon Pardi are among the artists who will pay tribute to the late Troy Gentry (Montgomery Gentry)at a benefit concert, C-Ya on the Flip Side. Lee Brice, Tracy Lawrence, Justin Moore, Rascal Flatts and Dustin Lynch, among others will also perform at the event taking place January 9th at the Grand Ole Opry. Proceeds will go to a handful of organizations including the Troy Gentry Foundation, the Opry Trust, T.J. Martell Foundation, Make-A-Wish and many others. Keith Urban will host a Twitter Q&A Tuesday (Monday in the U.S.) to discuss his hosting duties at this year’s ARIA Awards (Australia’s equivalent of the GRAMMYS). Brothers Osborne have added a THIRD show at Nashville’s Ryman Auditorium on February 13th due to overwhelming demand and two sold-out shows on February 15th and 16th. Tickets go on sale this Friday. The lineup for the 2018 Country Thunder Wisconsin has been announced with Chris Stapleton serving as one of the headliners for the four-day festival, taking place July 18th-21st. Tim McGraw and Jake Owen will also headline. Luke Bryan takes over Pickler and Ben on Tuesday. He talks about his latest single, “What Makes You Country,” American Idol and his favorite holiday traditions. Check local listings for times. Kacey Musgraves will be a guest judge during the highly-anticipated fourth season of RuPaul’s Drag Race All Stars. Her “weave-snatching” episode will air December 14th at 8pm ET on VH1. Chris Stapleton will be among the artists paying tribute to the legendary Dolly Parton as MusiCares Person of the Year February 8th. Pink, Leon Bridges, Norah Jones, Shawn Mendes, Lauren Daigle and many more will also perform at the event taking place at the Los Angeles Convention Center two days prior to the 61st Annual GRAMMY Awards. CHRIS STAPLETON WINS MALE VOCALIST, SINGLE AND SONG OF THE YEAR AT THIS YEAR’S CMA AWARDS. Chris Stapleton was the night’s big winner. He took home three trophies, including the hardware for Male Vocalist of the Year (for the third year in a row) and for Single and Song of the Year for “Broken Halos,” which he co-wrote with his friend Mike Henderson. Chris is making his way up the country charts with his latest song, “Millionaire,” which is from his current album, From A Room: Volume 2. Audio / Chris Stapleton says he's always surprised when he wins awards. He is a seven-time CMA Awards winner with 16 total career nominations. He is the reigning Male Vocalist of the Year and Album of the Year winner. He returns this year as the most nominated artist of the night with nods in the Album of the Year, Entertainer of the Year, Male Vocalist of the Year, Single of the Year and Song of the Year categories. Sam Hunt’s HUGE hit “Body Like a Back Road,” which broke numerous records and is still one of the best played and streamed songs, is nominated for Song of the Year. Sam wrote the tune with Zach Crowell, Shane McAnally and Josh Osborne. The 52nd Annual CMA Awards, hosted by Carrie Underwood and Brad Paisley, will broadcast live from Nashville’s Bridgestone Arena on Wednesday (November 14th) at 8pm ET/PT on ABC. Audio / Sam Hunt was overwhelmed by the reaction to his song, "Body Like a Back Road." MORE PERFORMERS ANNOUNCED FOR THIS YEAR’S CMA AWARDS. 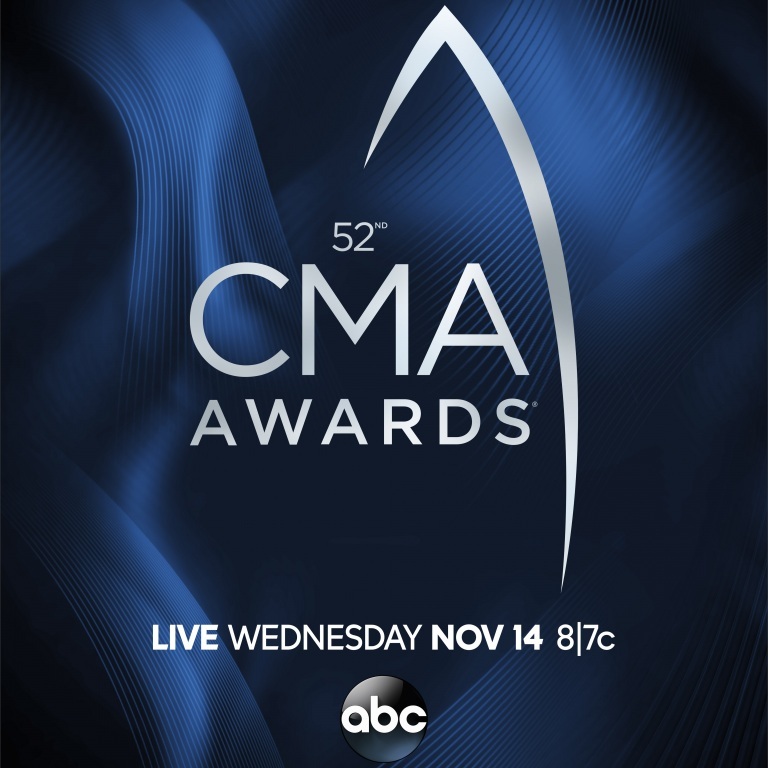 Lauren Alaina, Jon Pardi, Vince Gill and Chris Stapleton with Maren Morris and Mavis Staples have been added to the list of performers for this year’s CMA Awards, along with Brad Paisley, Ricky Skaggs, Ashley McBryde, David Lee Murphy, Marty Stuart, Cole Swindell, Lindsay Ell, Chris Janson, Sierra Hull and Carson Peters. They join previously announced performers include Jason Aldean with Miranda Lambert, Kelsea Ballerini, Dierks Bentley with Brothers Osborne, Garth Brooks, Luke Bryan, Kenny Chesney, Luke Combs, Dan + Shay, Florida Georgia Line with Bebe Rexha, Midland, Kacey Musgraves, Old Dominion, Pistol Annies, Thomas Rhett, Underwood, Keith Urban and Brett Young. Presenters will be announced next week. Lauren, who just released her new song “Ladies in the ‘90s,” is a two-time CMA Awards nominee. She returns this year with a nomination for New Artist of the Year. Vince is a 54-time CMA Awards nominee and 18-time winner. He holds the r ecord for most wins in the Song of the Year category. He is also tied for most wins in the Male Vocalist of the Year and Musical Event of the Year (previously Vocal Event of the Year) categories. He returns this year with his 12th nomination for Musical Event of the Year. The 52nd Annual CMA Awards, hosted by Carrie Underwood and Brad Paisley, will be broadcast live from Nashville’s Bridgestone Arena November 14th at 8pm ET on ABC. Chris Stapleton, Dierks Bentley and Keith Urban are all vying for Male Vocalist of the Year at this year’s CMA Awards. Chris receives his fourth consecutive nomination for Male Vocalist of the Year, a category he remains undefeated in, having won the past three years. Chris is also nominated for Entertainer, Album, Single and Song of the Year (“Broken Halos”). Dierks marked his fifth consecutive nomination for Male Vocalist of the Year. He also lands a nod for Album of the Year for The Mountain, as well as Musical Event of the Year alongside Brothers Osborne for their collaboration “Burning Man.” With this year’s nominations, Bentley collects 24 total career nominations. Keith has the chance to take home several awards going into next week’s CMA Awards, including Male Vocalist, Entertainer and Album of the Year for Graffiti U. This year marks his 14th nomination for Male Vocalist of the Year. Audio / DIERKS BENTLEY SAID HE WOULD LOVE TO WIN AN AWARD AT WEDNESDAY’S CMA AWARDS, BUT HE SAYS HE ALSO GETS RECOGNIZED EVERY NIGHT BY HIS FANS. Audio / DIERKS BENTLEY LOOKS BACK AT HIS ACCEPTANCE SPEECH FOR THE CMA HORIZON AWARD IN 2005 (the Horizon Award was renamed as New Artist of the Year). Audio / CHRIS STAPLETON SAYS HE’S VERY GRATEFUL FOR HIS AWARDS AND NOMINATIONS, AS WELL AS ALL OF HIS SUCCESS IN RECENT YEARS. Audio / KEITH URBAN PICKED UP HIS FIRST CMA MALE VOCALIST OF THE YEAR AWARD IN 2004, AND HE SAYS IT WAS A HUMBLING EXPERIENCE FOR HIM. HE WENT ON TO WIN THAT AWARD AGAIN IN 2005 AND 2006. Chris Stapleton’s From a Room: Volume 2, Dierks Bentley’s The Mountain, Kacey Musgraves’ Golden Hour and Keith Urban’s Graffiti U are all nominated for CMA Album of the Year. Chris, who tops the list of CMA finalists with five nominations, has previously won the Album category for his first two solo albums – Traveller (2015) and From a Room: Volume 1 (2017). Dierks earned his sixth career nomination for Album of the Year alongside producers Ross Copperman, Jon Randall Stewart and Arturo Buenahora Jr., while also marking his fifth consecutive nomination for Male Vocalist of the Year. He also lands a nod alongside Brothers Osborne for Musical Event of the Year for their collaboration “Burning Man,” Bentley’s third nomination in the category. He won Musical Event in 2016 for his song “Different For Girls” (Feat. Elle King). With this year’s nominations, Bentley collects 24 total career nominations. Kacey picked up another nomination for Album of the Year, having previously been nominated for this same award in 2013 for Same Trailer Different Park and in 2015 for Pageant Material. She won New Artist of the Year in 2013 and Song of the Year for “Follow Your Arrow” in 2014. In 2016, she won the CMA International Achievement Award. This year, she’s also nominated for Female Vocalist of the Year. Keith earned three more CMA nominations, including Album of the Year. This year marks Keith Urban’s 14th nomination for Male Vocalist of the Year, 11th nomination in the Entertainer of the Year category, and his sixth nomination in the Album of the Year category for Graffiti U, bringing his career nominations to 45 with 11 total wins. 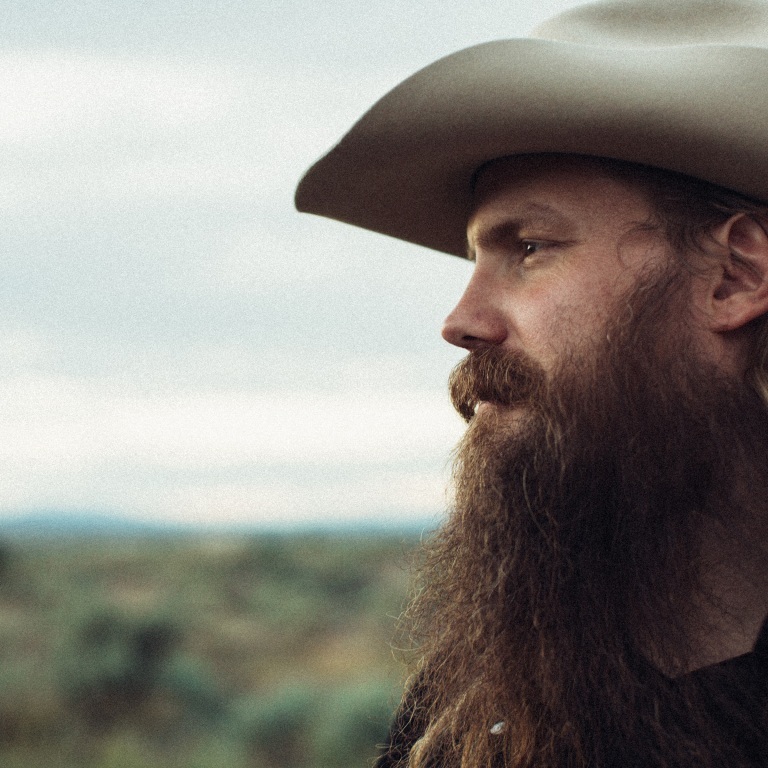 Audio / Chris Stapleton talks about making records. Audio / DIERKS BENTLEY WAS INSPIRED BY TELLURIDE TO WRITE AND RECORD HIS CMA NOMINATED ALBUM, THE MOUNTAIN. Audio / KACEY MUSGRAVES TALKS ABOUT THE TITLE OF HER CMA NOMINATED ALBUM, GOLDEN HOUR. Audio / Keith Urban talks about the decision to name his latest album, Graffiti U. The 52nd Annual CMA Awards are a little over a week away, and we’ll be highlighting different categories. Today, we give you the Entertainer of the Year category, which includes Chris Stapleton, Keith Urban and Luke Bryan, as well as Jason Aldean and Kenny Chesney. Stapleton tops the list of CMA finalists with five nominations, including Entertainer of the Year, as well as Single and Song of the Year for “Broken Halos,” Male Vocalist and Album of the Year for From A Room: Volume 2. With all of these nominations, he adds to his previous 11 nominations and seven wins. He lands his third consecutive nod for Entertainer of the Year. He previously won Album for his first two solo albums, Traveller, awarded in 2015, and From A Room: Volume 1, awarded in 2017. Stapleton also receives his fourth consecutive nomination for Male Vocalist of the Year, a category he remains undefeated in, having won the past three years. Luke is once again nominated for the CMA Entertainer of the Year award, which he has won twice before in 2014 and 2015. The Georgia native says winning his first CMA Entertainer of the Year award was life-altering. “Winning my first CMA Entertainer of the Year award is something that I’ll never forget. It’s all of those memories of everything it took to get here and all the sacrifices and all the honkytonks and the late-night concerts and moving to Nashville and leaving your family and your friends, it all came together on that night,” says Luke. “To get that from your peers of fellow country music artists was pretty amazing. You never forget it. You forever feel vindicated and you feel appreciated and you feel like you’re a member of a club, and you know no matter how long you live that you left an indelible mark on this industry based on how you go about it, how you entertain and perform.” As a matter of fact, his first CMA Entertainer award was his first ever CMA Award he’d ever won. Keith picked up the CMA Entertainer of the Year Award in 2005, and it’s a moment he will cherish the rest of his life. “What I remember about the Entertainer of the Year category in 2005 was that first feeling when people say it’s just an honor to be nominated, and I thought, ‘I know what that means! I know what that feels like,’ because for me it was a huge honor to be nominated so soon into my recording career,” says Keith. “To be in that category, it just felt unbelievably quick for me. And then when they read my name out as the winner, I think I actually said, ‘I thought I was just rounding out the category,’ because [laughs] I thought you’ve got to have four or five people in the category. I truly did not expect that to happen. It was just such a magical night.” Keith has the chance to take home several awards going into this year’s CMA Awards, including Entertainer, Male Vocalist and Album of the Year for Graffiti U. This year marks Keith Urban’s 14th nomination for Male Vocalist of the Year, 11th nomination in the Entertainer of the Year category, and his sixth nomination in the Album of the Year category, bringing his career nominations to 45 with 11 total wins. Audio / Chris Stapleton says all the awards and accolades he's received have been like a "fairy tale." Audio / Luke says winning his first CMA Entertainer of the Year Award was life-changing for him. Audio / BACKSTAGE IN THE PRESSROOM AFTER WINNING THE CMA ENTERTAINER OF THE YEAR AWARD IN 2014, LUKE BRYAN SAID HE WAS SO HUMBLED AND OVERWHELMED THE CMA VOTERS FELT HE HAD EARNED IT. Audio / KEITH URBAN RECALLS WINNING HIS FIRST AND ONLY CMA ENTERTAINER OF THE YEAR AWARD IN 2005.